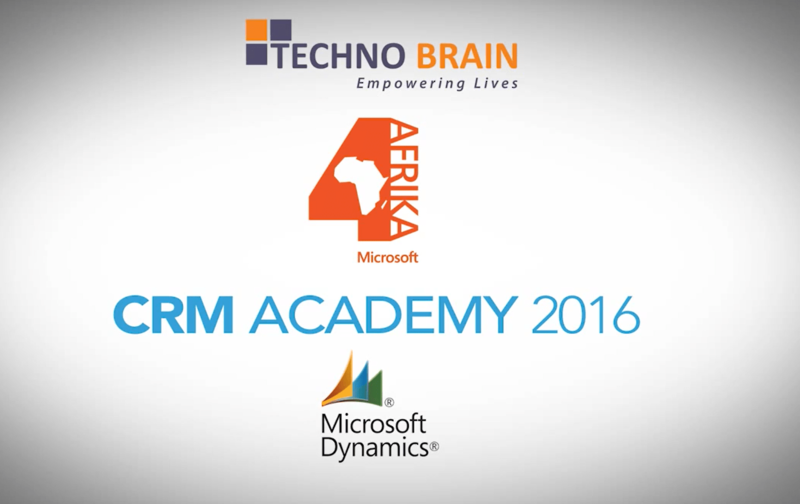 TECHNO BRAIN Ghana is partnering with MICROSOFT through it’s 4Afrika initiative program to organize Free Customer Relationship Management (CRM) Training for students in Ghana. This a fully funded initiative by Microsoft Africa and facilitated by Techno Brain certified trainers to help students in building up skills careers in the area of CRM with certification. The Customer Relationship Management (CRM) Academy focuses on building capacity for bridging the skill gaps in the CRM domain. Under the Microsoft 4Afrika initiative, it has an exciting skilling and employment platform created for students to enroll into the CRM Academy program. This is a great opportunity for students to gain the required skill set and increase their competitive edge to meet the challenges of the job market with no cost involved, as Microsoft will be sponsoring both training and examination. This Academy has been hosted in partnership with Techno Brain in Kenya and Ghana. To participate in the program, all you have to do is logon to the Techno Brian website www.crmacademy.technobraingroup.com and register/apply to participate in the free training programme. 4. Gain holistic skilling: ICT and Industrial Skills among others. 5. The BEST 25 Trainees will have the opportunity to work with Microsoft Partners. If you are a student on any campus, give this a try this vacation period and tell us what you think.